Born in Aurora, CO and a graduate of Chaparral High School in 2008, Corporal David Sonka enlisted in the Marine Corps in August 2008. He attended Military Police School in Ft. Leonard Wood, MO and the Military Working Dog Handler Basic Course at Lackland Air Force Base, TX. First assigned to III Marine Expeditionary Force K9 Section at Twentynine Palms, CA, Cpl. Sonka was later assigned to Marine Special Operations Combat Support Battalion at Camp Lejeune, NC. 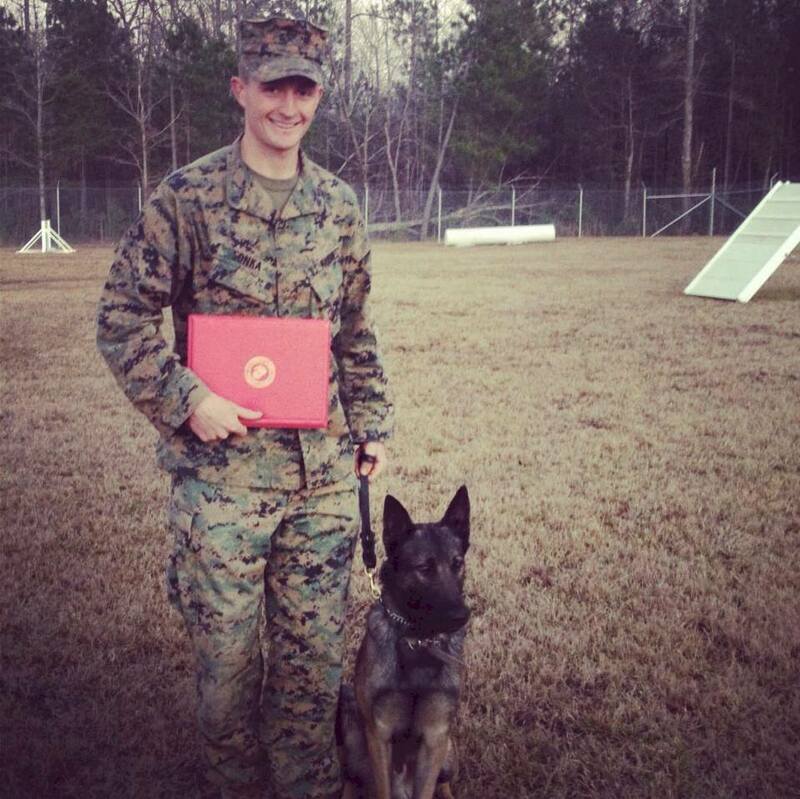 He completed Special Operations Training Course and Multi-Purpose Canine Course Phase I and Phase II and was attached to 2nd Marine Special Operations Battalion as a Multi-Purpose Canine Handler. On May 4, 2013, while deployed in Farah province, Afghanistan, the United States Special Operations Forces Team headquarters element was inside an Afghan Army Battalion headquarters located on an Afghan camp conducting a meeting when an Afghan Army soldier opened fire killing Cpl. Sonka and one other Marine. Cpl. Sonka’s personal decorations include a Navy and Marine Corps Achievement Medal, Marine Corps Good Conduct Medal and a Combat Action Ribbon.